The Pet Photography Essentials Package (No Body) - Nikon includes gear necessary to help capture the animal friends we cherish and adore. The Nikon 50mm enables you to shoot close to wide-open and get out of this world bokeh, while the Nikon 10.5mm Fisheye lens is targeted at Nikon DX Format digital SLR camera users who seek the unique visual effects a full-frame fisheye lens lends to close-up shots, or when shooting within tight interiors. 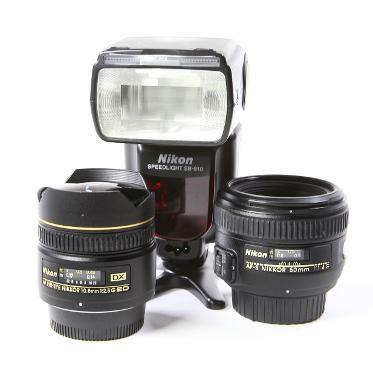 This package also comes with the Nikon SB-910 to assist in creating the right lighting you need. SB-910 works as a stand-alone flash unit or can be connected to your camera via transmitters/sync cables. Click here for recommendations.